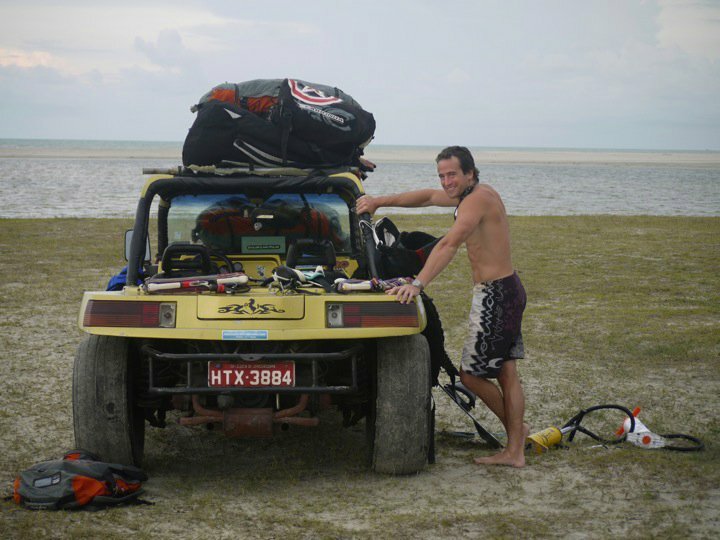 When all was said and done I spent 4 full months living and traveling in Brazil, covering the country as far south as Florianópolis, as far north as Jericoacoara, as far east as Fernando de Naronha, and as far west as the heart of the Amazon. I’ve probably seen more of Brazil than 99% of Brazilians! 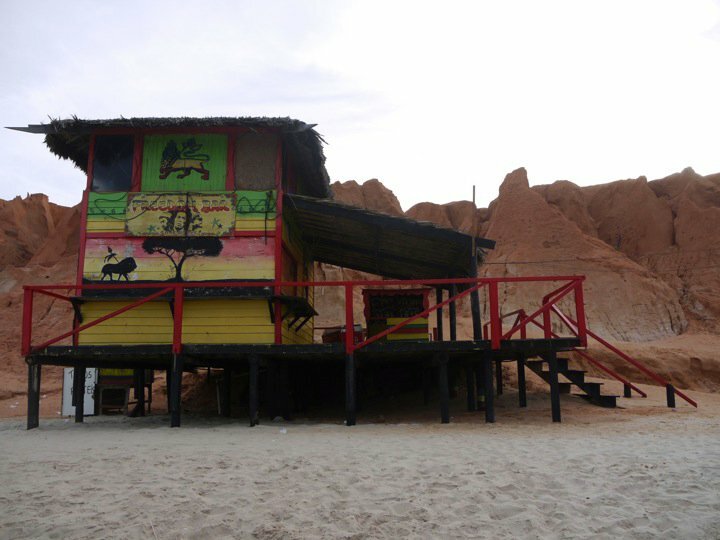 The final stretch of my “tour do Brasil” included Canoa Quebrada, Fortaleza, Jericoacoara, Manaus, and the Amazon jungle. As with the last post, in the interest of time I’ll only devote a couple of paragraphs to each even though they all deserve much more. Since the Amazon jungle was a bit more exotic than the rest I’ll give it special treatment. This dry and windy beach town in the northeast of the country was a fisherman village turned hippie commune turned tourist mecca. One can still see traces of each stage of the town’s history. 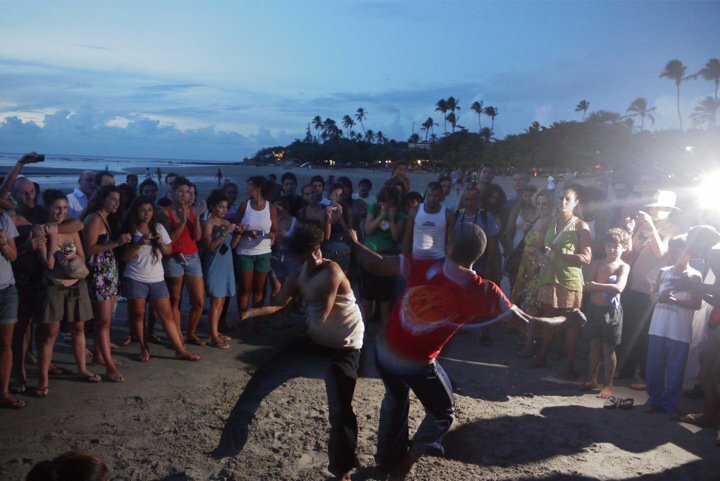 It’s a popular spot for backpackers due to its relative remoteness and inexpensive prices, though of all the Brazilian beach towns that I’ve seen (and that’s a lot) it was not one of my favorites. 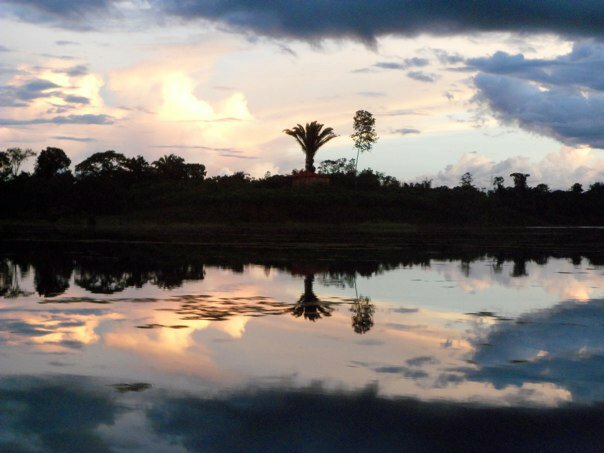 Though certainly picturesque, Canoa has a barren feel in sharp contrast to its more green and lush neighbors. That said, I don’t regret the 3 days that we spent there and managed to get in a couple of kitesurfing lessons which alone made the trip worthwhile. 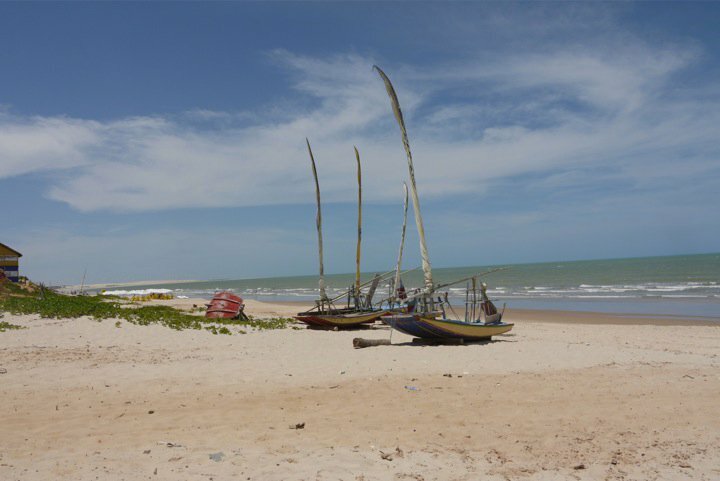 Fortaleza is the capital of the state of Ceará and the 5th largest city in Brazil. Though it has some decent beaches, I found it rather seedy and generic compared to other spots in the Brazilian northeast. It was a good reminder never to vacation in beach towns with direct international flights! Though obviously popular amongst package tourists, Fortaleza doesn’t serve much purpose for backpackers other than as a jumping-off point for other spots up and down the northeast coast. “Jeri” as it’s known locally is a backpacker haven, and rightly so. It’s one of those rare and special places with just the right mix of natural beauty, smart development, and vibe. To arrive in Jeri you must endure a 7 hour trek from Fortaleza via bus and 4 x 4, which fortunately keeps out the masses. There are no paved roads to the town nor within it, only sand ones. The main form of transport around town is Havaianas. Jeri is located within a protected national park, surrounded by beautiful sand dunes populated mostly by cows, sheep, and donkeys. By law, every plot of land must remain 40% undeveloped and no buildings may be more than 2 stories high. Although rustic, Jeri is very clean, comfortable and inexpensive. 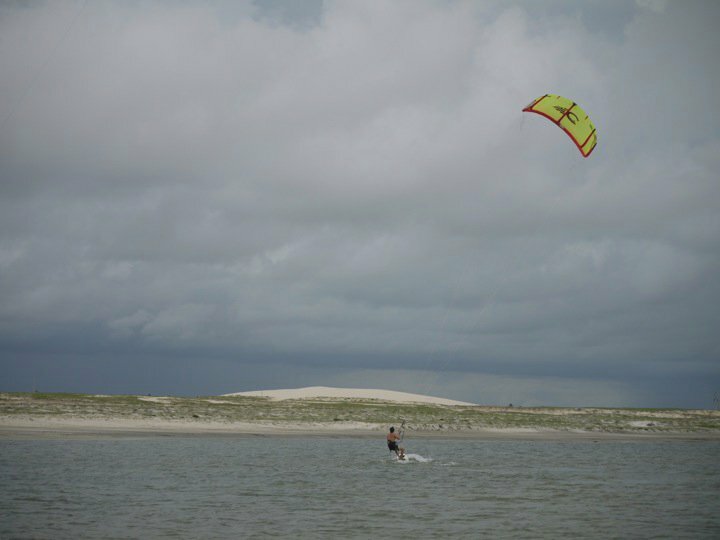 With strong, consistent wind and flat freshwater lagoons, it also offers some of the best kitesurfing in all of Brazil so was essentially heaven for us. Even after 9 days there it was tough to leave. Although it was painful to pull myself away from Brazil’s beaches, I couldn’t leave the country without first seeing the Amazon. There are few places on Earth that conjure more vivid imagery of remoteness, wildlife, and danger. Like most who visit the Amazon basin I flew into Manaus, a major city located in the heart of the jungle. It’s hard to imagine given its location, but Manaus is a well-developed metropolis with a population of over 2M. It’s an industrial town and not particularly beautiful, but still worth spending a couple of days in. There is a zoo and opera house to visit, but I found the most interesting things about Manaus to be the subtle quirks that characterize an Amazonian city, like how all the fish served in restaurants comes straight from the river and the distances to neighboring towns are described in kilometers up or downstream. In Manaus, I booked a 4-day stay at a jungle lodge located about 100km south of the city and accessible only by boat. The digs were extremely basic but the overall experience was unforgettable. There we spotted tarantulas, sloths, monkeys, and pink river dolphins, hunted and ate piranhas, and caught cayman barehanded. In the jungle, our guides showed us how to find and eat grubs right out of palm nuts (delicious… they taste like coconut) and pointed out bullet ants, so poisonous that a single bite feels like getting shot by a bullet and multiple bites can kill. Despite its many poisonous ants, spiders and snakes, the most dangerous bugs in the jungle are actually the mosquitos, or more specifically the dengue fever and malaria that they carry. I practically bathed myself in DEET. 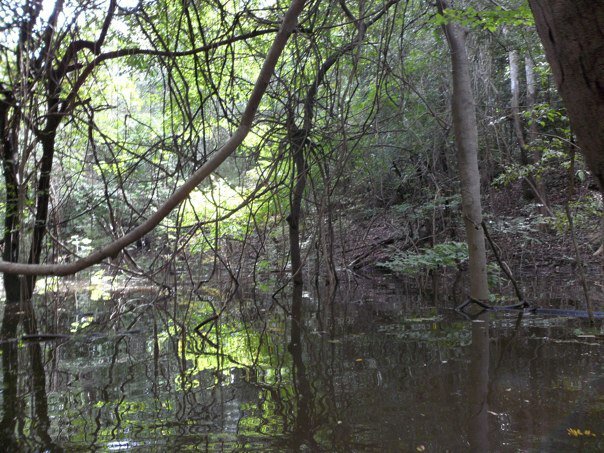 The ruggedness and danger of the Amazon jungle is justified by its beauty. Watching the sunset over the glassy smooth river is breathtaking, and there are more colorful exotic birds and plants than have been named by scientists. I also enjoyed chatting with our native guides, many of whom have lived their entire lives in the jungle. One of them grew up in a tiny village deep in the jungle, living off manioc root, fruits, and monkey meat. He didn’t see a real city until he was 17, and said he’ll never go back because motor exhaust makes him nauseated. Another spent 5 years in the Brazilian army, patrolling the border with Colombia to keep paramilitaries out of Brazil. He explained to me how to prepare acaí berries and hunt jaguars at night, and which jungle animals have the tastiest meat. These guys are the real deal.